Oh, how I loved this book! I read it one hot summer in the late 1990s, at night, when most people were asleep. Because I was working very long days and eating rather late suppers, I lived for this time of day when I could deeply sink into this epic. Now, I have Volumes 2 and 3 on my Classics Club List. The only problem is that I think I should reread Volume 1 to refresh my memory of that special world Undset created. I've put the decision off, I must admit, but I know that I must reread the first volume. I'm so delighted by your thoughts about it. I loved it and I can't decide if I should rush into the last two volumes or spread them out, to savor them. I remember you mentioned that when I posted my TBR list for this challenge! I love GWTW so that definitely pushed it up on my to-read list. I haven't read GWTW for a long time and I think I'm due for a re-read -- I also have The Gone With the Wind Letters which I want to read as a companion volume. I love the fact that this reminds you of AGOT! This will also be a good title to keep in mind if you ever bring back the Classic Historical Fiction category. I think it's the Medieval setting that reminds me of AGOT -- I was picturing Winterfell and some of the characters. 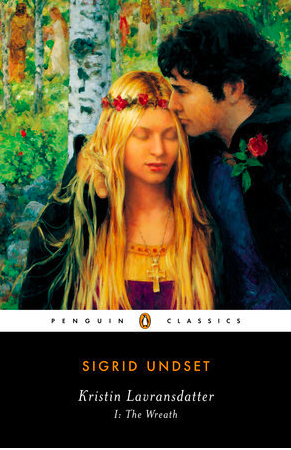 I could see the girl who plays Sansa as Kristin (but in my head Erlend looks just like Richard Armitage). 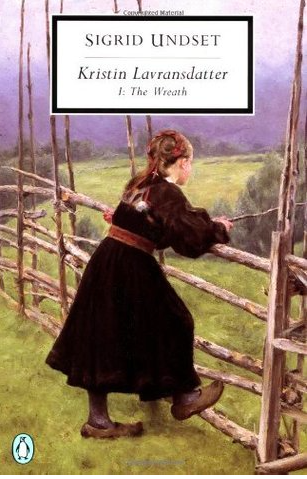 I loved these so much when I read them I immediately jumped into the Master of Hestviken quartet, but never managed to make it through--too much medieval Norway at once I guess. Remembering now I may want to go back and reread the Kristin trilogy! I want to read the Master of Hestviken quartet also, and my library also has an electronic copy of a contemporary novel she wrote called Marta Oulie which is a recent translation. I hope to read that one too. I found old copies of this trilogy at a bookstore that was going out of business but I have not gotten around to them yet. I find it intriguing that Margaret Mitchell loved it. Delighted to hear so much love for these books as I acquired a copy a year or so ago for my reading the Nobels challenge...I hope to get to them soon.